Replacing mechanical equipment is generally cost-effective only when your old equipment is in poor condition. Before you replace this expensive piece of equipment, think about other, cheaper ways to make your home more energy efficient like air sealing and insulation. 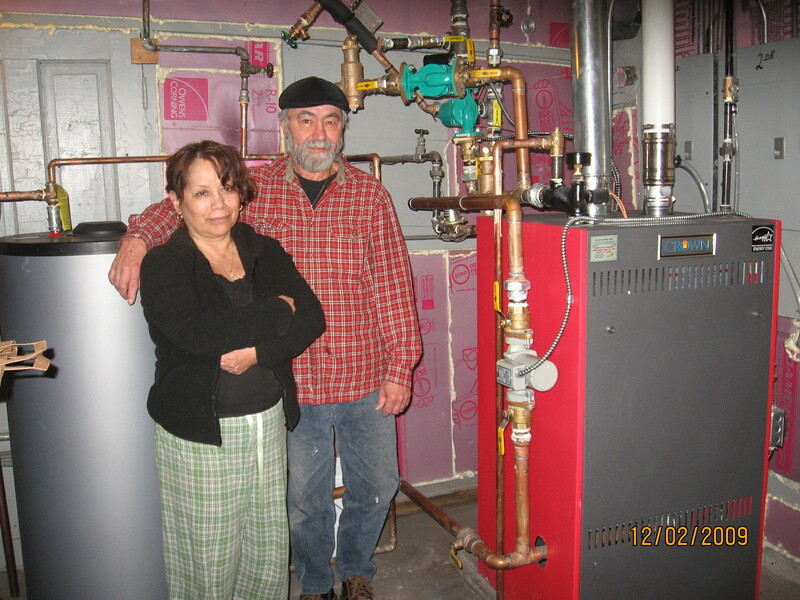 With a tighter home, you may be able to replace your furnace or boiler with a smaller one. A correctly sized system will last longer because it will be able to operate more efficiently, as it was designed. Oversized systems will run at partial capacity during the Spring and Fall, leading to inefficiency, while undersized systems will struggle to effectively heat your home. You could realize significant savings by upgrading to a higher efficiency model, though the high installation and maintenance costs put this recommendation low on the priority list unless your current heating equipment is on its last legs. If you are replacing it, remember to look for the Energy Star logo to find models that use less energy. Older furnace and boiler systems had efficiencies in the range of 55%-80%, but modern conventional heating systems can achieve efficiencies as high as 97%. Unfortunately, replacement of these systems usually involves a long term financial commitment. However, furnaces and boilers sometimes may need to be replaced because they are not functioning properly, which can lead to uncomfortable homes where heat is not dispersed adequately. If your boiler or furnace is less than 15-20 years old, it is not worth replacing unless there are major problems or high maintenance costs. However, the combustion efficiency of a boiler should be measured as it is common for boilers to run longer than 20 years without a drop in efficiency. Likewise, boilers less than 20 years old can operate below their rated efficiency despite appearing new. If you're considering replacing or retrofitting your existing heating system, you should first have a trained technician perform a combustion-efficiency test.